This obsession of mine started in suburban Phoenix, Arizona and my gosh I’m embarassed to say it but I don’t even remember the name of the restaurant. We were on a little getaway with my parents a couple years back and we grabbed dinner one night at a local steakhouse. My dad and I ordered Salt Crusted Baked Potatoes and we both agreed they were the absolute best baked potatoes we’d ever had. So here is an at home version. And it is my favorite kind of “recipe”…one that you can remember off the top of your head. They simply arent your typical baked potato. 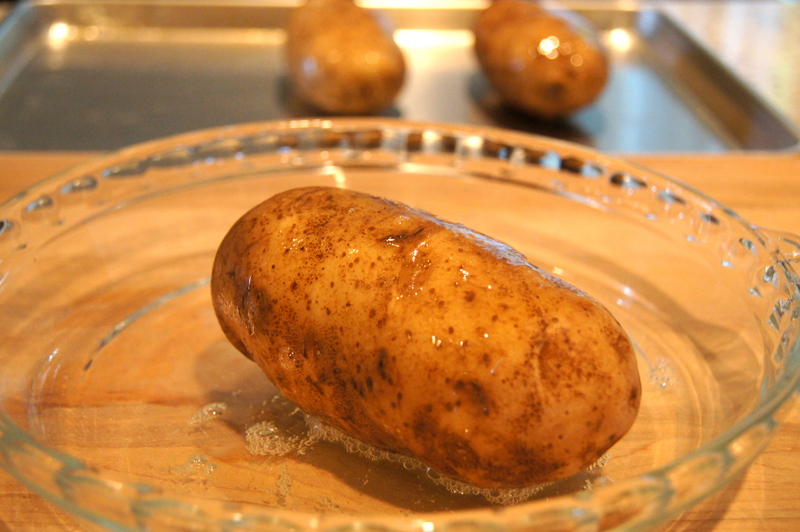 My favorite part of any baked potato is the skin…but trust me, even if you don’t typically care for the skin these potatoes will absolutely change your mind. The skin is so crispy…and salty..and roasted tasting. And the insides are so incredibly tender and soft; it’s just an awesome combination. Now the version we got at the restaurant was, without a doubt, packed with an unhealthful amount of salt so I tamed it down quite a bit for my version but they are still just as enjoyable. The nice thing is that the salty crust flavors the potato so much that you won’t need to season the inside of the potato with additional salt. 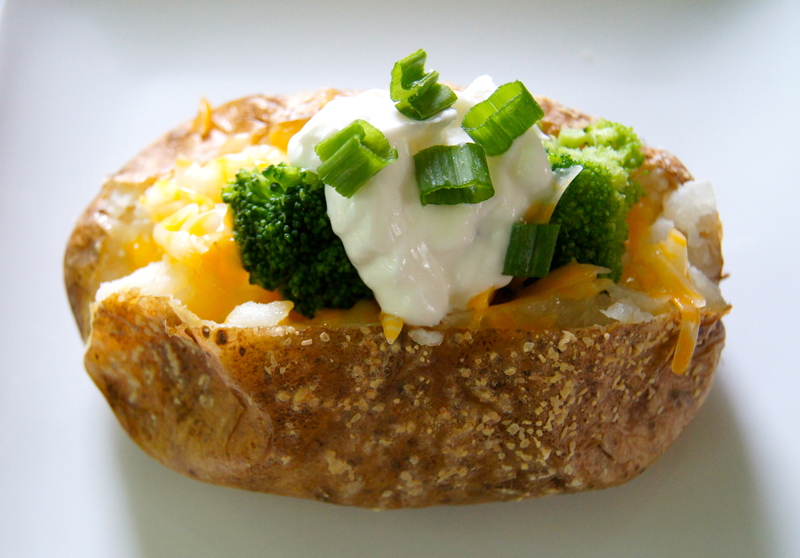 I love mine toped with steamed broccoli, shredded cheddar, sour cream, green onion and hot sauce. How do you top your tato?? Preheat oven to 400. Place beaten egg white in a shallow bowl. Toss each potato in the egg white until it is completely coated, shaking off the excess whites. Place on a baking sheet and sprinkle each one all over with 1/4 teaspoon salt. Bake for 1 hour or until crust is crispy and center is soft.